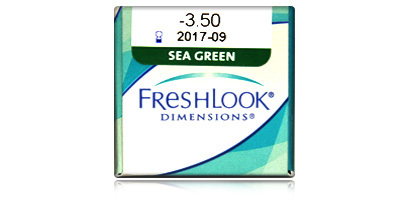 If you want high quality monthly disposable coloured contact lenses, Freshlook Dimensions are an excellent choice. They come in powers from -8.00 to +6.00 and are available in three stunning colours including: Sea Green, Caribbean Aqua, and Pacific Blue. These lenses will have a more pronounced effect on lighter coloured eyes. Freshlook Dimensions are so called because they have great depth of colour for a natural look. As the name suggests, they’re designed to give extra dimensions to an eye colour and make it more intense, not completely change it. Wear them daily for up to a month or just on nights out when you want to make a big impression. 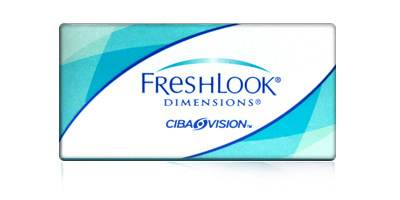 All-day comfort, stability, and excellent acuity of vision make Ciba Vision Freshlook Dimensions functional as well as fashionable. Eye health benefits include a high water content, which means better breathability. Oxygen can reach the cornea easily, keeping eyes fresh and free from dryness, grittiness, irritation and interrupted vision. Meanwhile, UV absorbing chromophores help to protect eyes from the damaging effects of the sun’s radiation. 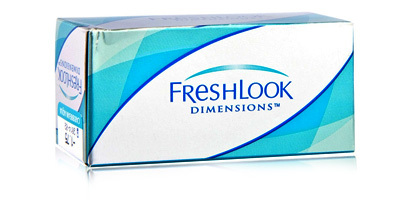 Each box of Freshlook Dimensions contains two monthly disposable contact lenses. If you have perfect vision and just want to change your eye colour, that’s not a problem. Simply select 0.00 on the drop-down power list and you’ll receive lenses with no prescription that can be worn for cosmetic purposes alone. 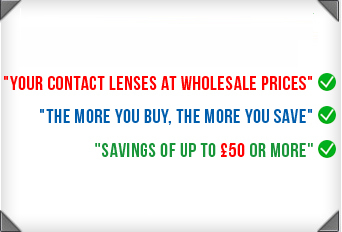 For advice on any of the coloured contact lenses on this site, please call our dedicated customer services team on 0800 037 4000.